A return to more authentic handling. This is shaping up to be a promising return to circle for GRiD. 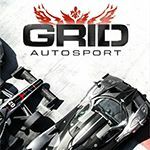 More cars in the link: Pagani Zonda Revolucion (Grid 2 DLC), Dallara DW12 (Grid 2 DLC), Audi RS5 (touring car version, likely based on the Grid 2 model), Nissan GT-R Super GT GT500, the Panspeed RX-7 (Grid 2 DLC), Mazda RX-7 RZ, Audi R8 LMS, Mercedes-Benz SLS AMG Black Series, among others. One more car confirmed from that video, the 2013 Honda Civic WTCC. 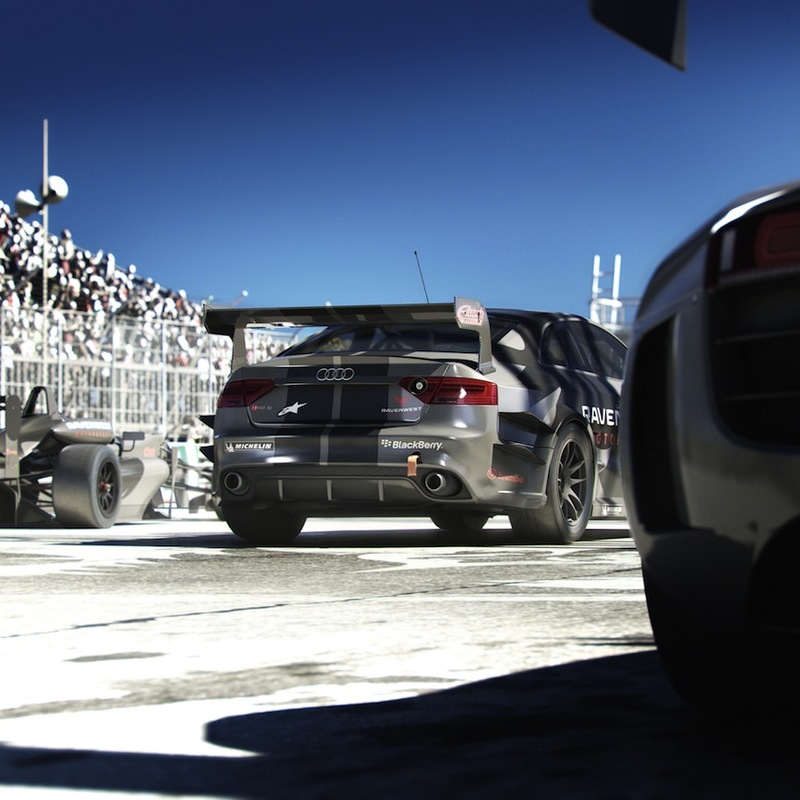 So, is this the game Grid 2 should've been? And no next-gen version... Sounds like a budget range release IMO. It is kinda the game Grid 2 should've been (I've never played it, so I wouldn't know), and it's also Codemasters' way of showing the absolute most that the EGO engine is capable of on the previous generation of consoles. A final send-off before moving on to next-gen, if you will. Well, I didn't buy Grid 2 either, but considering it was released just last year I'd be pretty miffed now if I had. I think the same thing's going to happen to the PS3 and 360 in the coming years what happened to the PS2. Stunning graphics on most games made from 2004 - 2006, then the second the PS3 is released, a gradual devolution into what would barely pass as a tech demo back in 1999, such as MLB 2K12 or NASCAR 09.
the real bad thing is that the PS4 is not really better than the PS3. I think thats the real main reason developers dont make next-gen games yet. Magazines publish comparison shots and subtitle with "you can see a stunning difference!" "There is a big difference that everyone can see!" and i always ask my self: Did they switch the pictures? Because either there is no difference visible for me (so not everyone can see it!) or the PS3 version looks still better. Do you mean the second ps4 is released? I used the PS2 as an example, what happened to its games once the PS3 came out. I have a feeling it's what's going to happen to the PS3 now that the PS4 is out. Less effort put into games and a less enjoyable experience. Games that feel manufactured for money, not created to fulfill dreams. That really looks like an Agera R.
That wouldn't be a surprise. They had an Agera R in Grid 2.
carcrasher88 wrote Second link is broken. Guess it must be a pre-tuned car. BTW it's funny to see how a real picture I posted (didn't thought it was a real pic at the time) was validated while this one isn't. 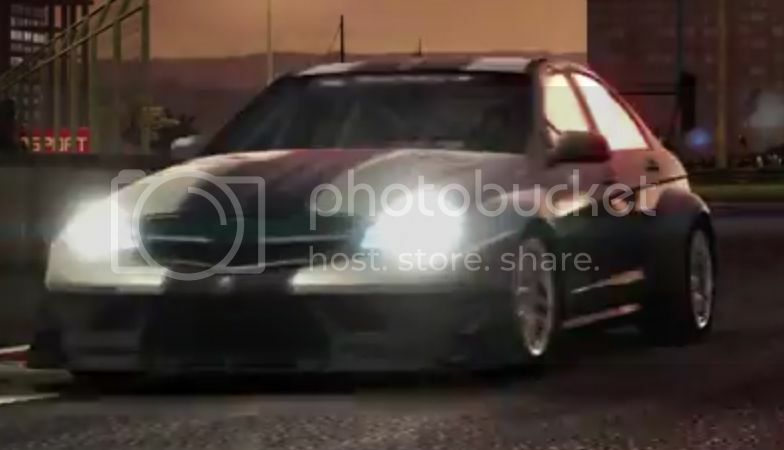 Bumpercars45 wrote Some rumors say there will be v8's and v8 utes!!!! I don't know if I should add in-car views without blur. What do you think? 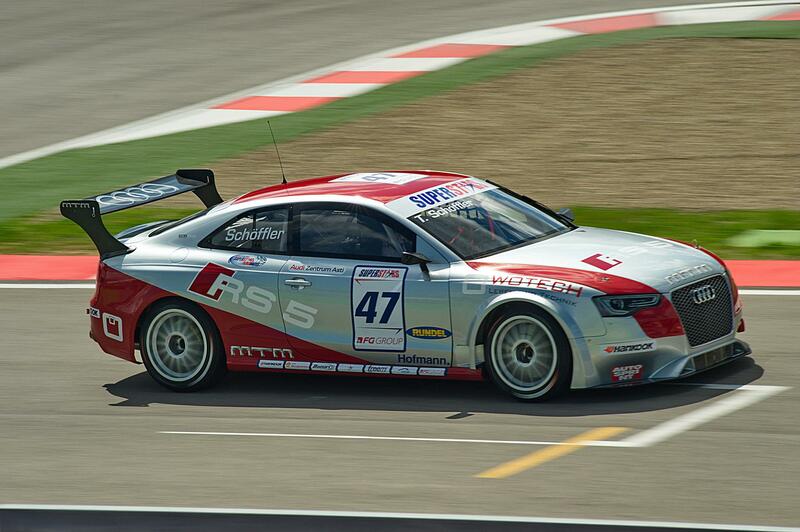 Touring cars class is complete. I honestly think GRID 2 was better. The only thing that this has and GRID 2 is missing is the McLaren P1 and the Lancia Delta. Still a good game though. What a joke of a cockpit view. Might as well have removed it like in Grid 2. Antti-san wrote What a joke of a cockpit view. Might as well have removed it like in Grid 2. Yes, looks like I was right all along. I know for a fact the PS3 and 360 are capable of better quality models and textures than what are presented in this game, but because the 8th generation of consoles has been released, Codemasters are deliberately making this game not as good as it could be in order to rush consumers onto them. The interiors are absolutely atrocious. What was the point of including them, if they are so poor. And compare that to Forza Motorsport, which even third part is miles ahead in quality. I am pretty sure the interior models are just the low detail models you'd see inside the cars when in the 3rd person view. They wanted to add a proper cockpit view without investing significant time and money for 1 feature by remodeling everything, and just reused the low detail models/textures. Better than nothing I guess. I've played this quite a lot recently, and I can say that it feels far improved over GRiD 2. The handling physics is easily the best in the series since the GRiD re-branding, and the library of cars certainly makes me happy. It seriously has been the most fun I've been having in a racing game for a while now. Oh and "Very Hard" in this game means "VERY HARD". It's seriously a mode that tests for the ultimate racers, 1st place victories aren't guaranteed. ...I'm looking at you Polyphony Digital. Anyways, definitely glad I purchased this on Steam. Quite alot of fun. solarriors wrote Is it possible to make custom liveries ? something like GRID 1 ? I don't expect anything as deep as Forza anyway. If you look at the cockpit view screenshots and squint your eyes a bit there's not much difference. Anyone want to update the Tracks and places part of this page , since i doubt there is only 3 tracks in this game ? fontheking5 wrote Anyone want to update the Tracks and places part of this page , since i doubt there is only 3 tracks in this game ? 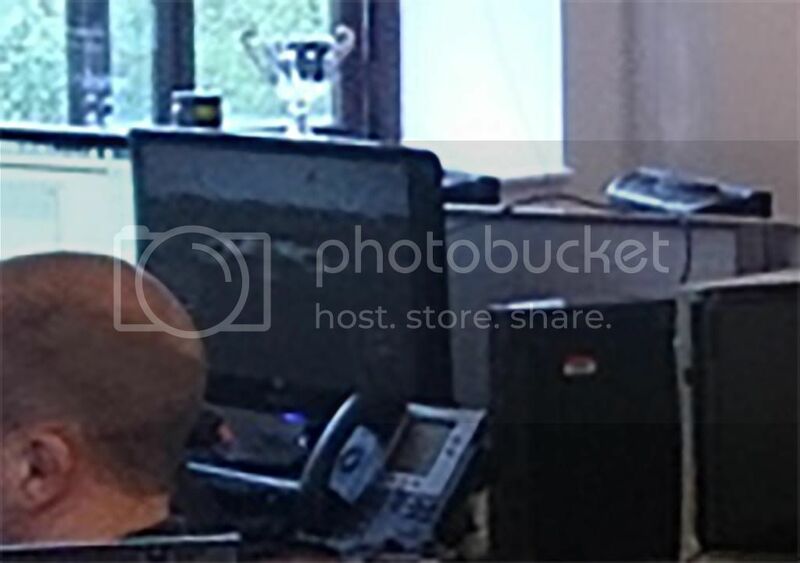 Hey Mark0, I was wondering do you have F1 2013? It'd be nice if someone could make shots for that game. Antti-san wrote Hey Mark0, I was wondering do you have F1 2013? It'd be nice if someone could make shots for that game. Bought this game and is very upset and dissapointed on the steering , almost impossible to keep the car in a straight line , and it is so light that it will throw you into the nearest wall unless you crawl aroun the corner , maybe i need to change some things , but for now it feels horrible to drive it. Bumpercars45 wrote Guys is it just fontheking who doesn't like the game? I am thinking about getting this game, so is it worth it? Added the funny cars and all the DLC tracks. Game complete. Added Macintosh to the platform list where it was released for in December 2015. Add Mobile to the console list. The page is missing a few DLC cars, like the F1 GTR. Speedevil wrote The page is missing a few DLC cars, like the F1 GTR. I don't have the DLC, so go ahead. Speedevil wrote I don't have the DLC, so go ahead. The game just got announced for the Switch. what message are you trying to convey with this commment?